Welcome to a New World of Choice. The power to take you beyond. ​It’s often been said that you can tell a lot about a company by the company they keep. It’s not surprising that two of Canada’s leading providers have partnered together to help Funeral Professionals raise the bar and reinforce their commitment to the communities they serve. The new FrontRunner Lite System by W.L. Smith & Associates Limited, has been designed to give your firm access to the ultimate in personalization and the integrated technology to drive higher efficiencies, all while reducing costs. Designed to help you dramatically grow your business and showcase your firm as the leader in your community. Backed by the Industry’s Leading Technology and Marketing Provider. The modular based, no-charge architecture allows you to add what you need, when you need it. 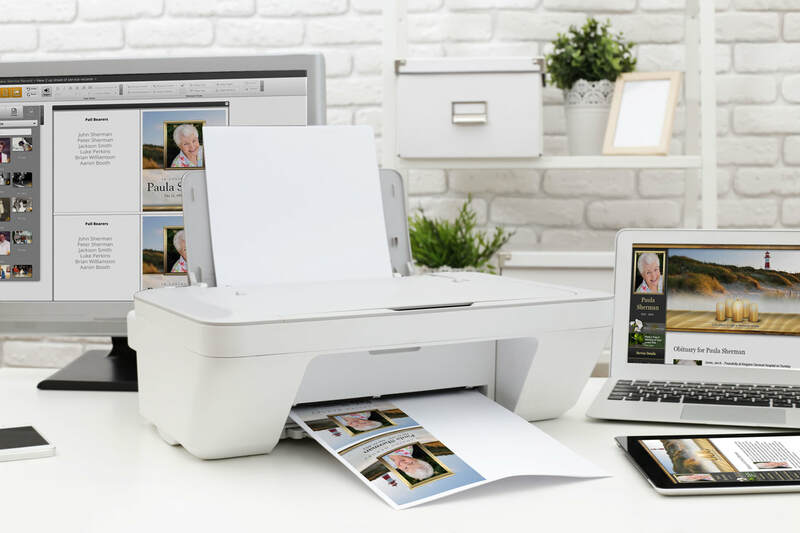 Print unlimited Stationery, have a beautiful web presence, build unforgettable DVD tributes, generate forms in seconds, and grow your business at an unprecedented level—all at no-charge. With FrontRunner Lite by W.L. Smith & Associates Limited, you have one system to learn, one place to enter your vital information, and one login to manage your Website, Records, Stationery, Tribute Videos and more. Finally, everything you need in one place to move beyond the competition and offer unparalleled service. FrontRunner Lite’s no-charge website is so much more than just a website; it’s an online presence that you will be proud to have representing your firm with built-in revenue and lead generation features working for you 24/7. While the pre-built content allows you to get up and running, the easy-to-use editor gives you everything you need to update, change, add, or delete content—within minutes. Want even more? Upgrade to a full FrontRunner system anytime—for less. Give families an experience they’ll never forget and your firm the tools it needs to tell their best story. With Memorial FX, it’s never been easier to create breathtaking memorial videos and truly bring the family together during a difficult time. ​Paired with The New Luxury Stationery from W.L. Smith & Associates Limited, powered by the The New Luxury Print Engine, your firm can now offer the finest in customized memorial tribute products. Customization at this level has been missing from the funeral profession and bridges a gap between traditional offerings and what today’s families want. With the activation of a FrontRunner Lite website by W.L. Smith & Associates Limited, your firm will have THE POWER OF UNLIMITED! Unlimited Print-on-Demand stationery, unlimited tribute videos with Memorial FX, and unlimited forms printing to help you get the job done as quickly as possible. Print and create as much as you need. ​The New Luxury stationery and Memorial FX DVDs.